Jesus Romero-Hdz, Baidya Saha, Gengis Toledo-Ramirez, David Beltran-Bqz, "Welding Sequence Optimization Using Artificial Intelligence Techniques, an Overview" SSRG International Journal of Computer Science and Engineering 3.11 (2016): 80-85. Jesus Romero-Hdz, Baidya Saha, Gengis Toledo-Ramirez, David Beltran-Bqz,(2016). Welding Sequence Optimization Using Artificial Intelligence Techniques, an Overview. SSRG International Journal of Computer Science and Engineering 3(11), 80-85. With heightened emphasis to improve the product quality and process efficiency, the welding industry is challenged to consider innovative approaches like artificial intelligence (AI) techniques. In terms of quality, deformation and residual stress are one of the major concerns. It has been proved that the welding sequence has significant effects on deformation and lesser magnitude for residual stress. On the other hand, robot path planning is a crucial factor to efficiently weld large and complex structures. In this sense, Welding Sequence Optimization (WSO) is suitable for minimizing constraints in the design phase, reworks, quality cost and overall capital expenditure. Traditionally the welding sequence is selected by experience and sometimes a design of experiments is required. However, it is practically infeasible to run a full factorial design to find the optimal one, because, the amount of experiments grows exponentially with the number of welding beads. Virtual tools like finite element analysis (FEA) and robotics simulators allow to run corresponding optimization tasks. In this paper we overview the literature on AI techniques applied to WSO. Additionally, some relevant works that use other methods are taken into account. The reviewed works are categorized by AI technique. K. Y. Benyounis and A. G. Olabi, “Optimization of different welding processes using statistical and numerical approaches - A reference guide,” Advances in Engineering Software, vol. 39, no. 6, pp. 483–496, 2008. 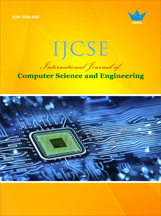 S. R. Joshi, P. J. Ganjigatti, and S. KulKarni, “ Application of statistical and soft computing based modeling and optimization techniques for various welding processes a review,” International Journal of latest trends in Engineering and Technology, vol. 3, no. 4, pp. 375–384, 2014. K. Masubuchi, Analysis of Welded Structures. Pergamon Press Ltd., 1980, vol. 3. D. A. Kumar, P. Biswas, N. R. Mandal, and M. M. Mahapatra, “A study on the effect of welding sequence in fabrication of large stiffened plate panels,” Journal of Marine Science and Application, vol. 10, no. 4, pp. 429–436, 2011. 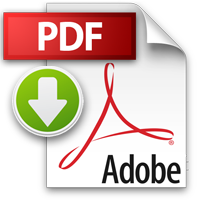 K. Jackson and R. Darlington, “Advanced engineering methods for assessing welding distortion in aero-engine assemblies,” IOP Conference Series: Materials Science and Engineering, vol. 26, p. 012018, 2011. D. E. Goldberg, Genetic Algorithms in Search, Optimization and Machine Learning, 1st ed. Boston, MA, USA: Addison-Wesley Longman Publishing Co., Inc., 1989. A. Chapple, Z. Tahir, and F. Jardine, “Weld Distortion Optimisation using HyperStudy,” The 8th UK Altair Technology Conference 2013, pp. 1–13, 2013. Y. G. Liao, “Optimal design of weld pattern in sheet metal assembly based on a genetic algorithm,” International Journal of Advanced Manufacturing Technology, vol. 26, no. 5-6, pp. 512–516, 2005. L. S. Xie and C. Hsieh, “Clamping and welding sequence optimization for minimizing cycle time and assembly deformation,” International Journal of Materials & Product Technology, vol. 17, no. 5/6, pp. 389– 399, 2002. K.-Y. Kim, D.-W. Kim, and B. O. Nnaji, “Robot arc welding task sequencing using genetic algorithms,” IIE Transactions, vol. 34, no. 10, pp. 865–880, 2002. M. H. Kadivar, K. Jafarpur, and G. H. Baradaran, “Optimizing welding sequence with genetic algorithm,” Computational Mechanics, vol. 26, no. 6, pp. 514–519, 2000. J. Romero-Hdz, B. N. Saha, and G. Toledo, “Welding Sequence Optimization through a Modified Lowest Cost Search Algorithm,” Computer Science and Engineering, vol. 6, no. 2, pp. 25–32, 2016. S. Fukuda and K. Yoshikawa, “Determination of welding sequence : a neural net approach,” Engineering Analysis with Boundary Elements,, vol. 7, no. 2, pp. 78–82, 1990. C. L. Tsai, S. C. Park, and W. T. Cheng, “Welding Distortion of a Thin-Plate Panel Structure,” Aws, pp. 156–165, 1999. J.-U. Park and G. B. An, “Effect of welding sequence to minimize fillet welding distortion in a ships small component fabrication using joint rigidity method,” Proceedings of the Institution of Mechanical Engineers, Part B: Journal of Engineering Manufacture, vol. 230, no. 4, pp. 643–653, 2016. Welding sequence optimization, welding distortion, welding residual stress, welding process optimization.